Today I am going to review nourishing hand cream from the sweet pea collection by Bath & Body Works. 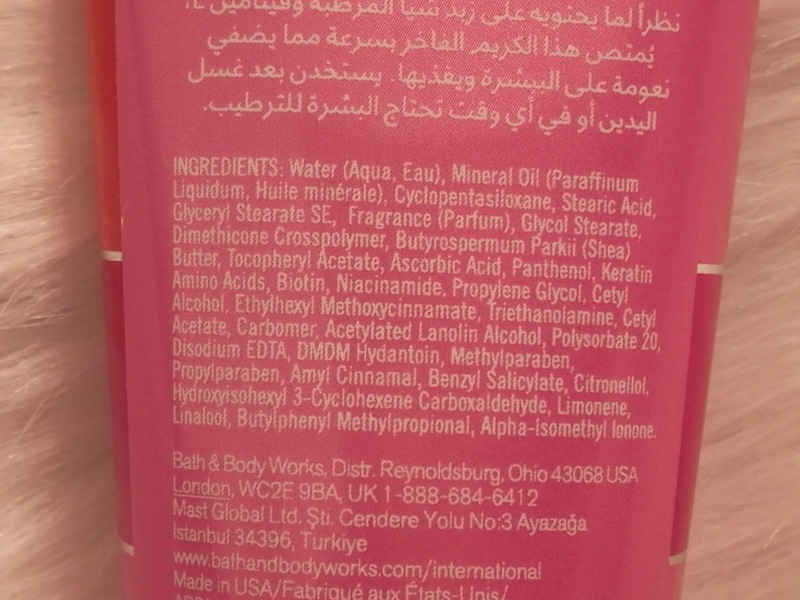 Bath and body works is an amazing body and skin care brand.They have body mists,lotions,shower gels, sanitizers you name it...they have it all!sigh! The products from this brand are usually amazing and have awesome fragrances! 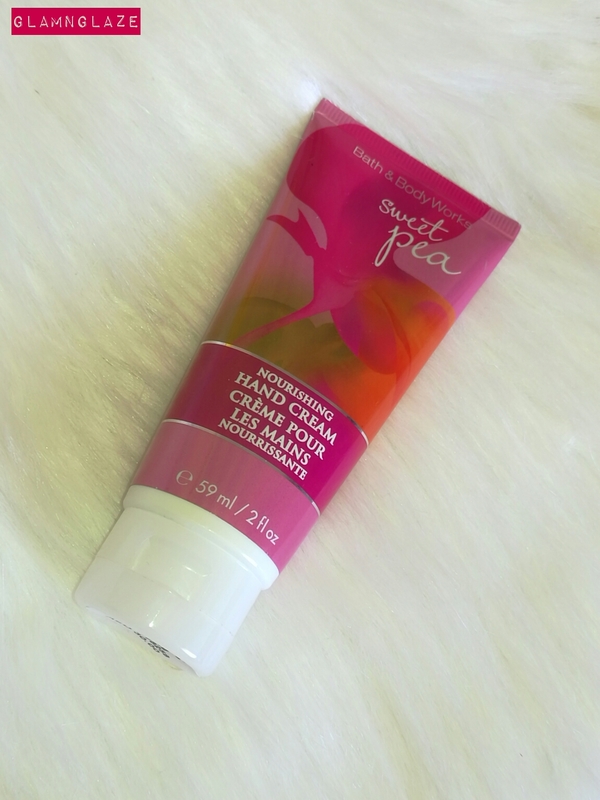 Sweet pea range is my favourite range of all times from the Bath & Body Works. 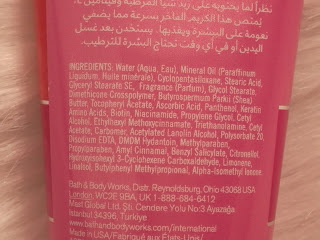 So,I thought of giving this hand-cream a try. Let's find out together what were the results of using this hand-cream! Moisturizing Shea Butter and Vitamin E absorbs quickly to leave hands feeling soft, smooth, luxuriously nourished and lightly scented. I like using hand-creams in order to keep my hands soft and supple.A hand-cream with a good fragrance is a plus point. *It comes in a tube-form.No chance of product-contamination! *I love the tube-colour,it's a mixture of pink, orange and green colours...love! *It is a thick cream, but, definitely not sticky. *Gets absorbed easily and quickly into the skin and leaves the skin feeling soft and fresh. *A small coin-sized amount of the product does it's job well. *In one word "COOL"! This is really a nice hand-cream. I am in love it's awesome fragrance. *It has a sweet,flowery(raspberry-rosy) kindda fragrance that is very calming. The hand-cream contains shea butter and vitamin E.These ingredients help in keeping hands soft and moisturized. Applying twice or thrice a day will be really helpful for people with really dry hands. 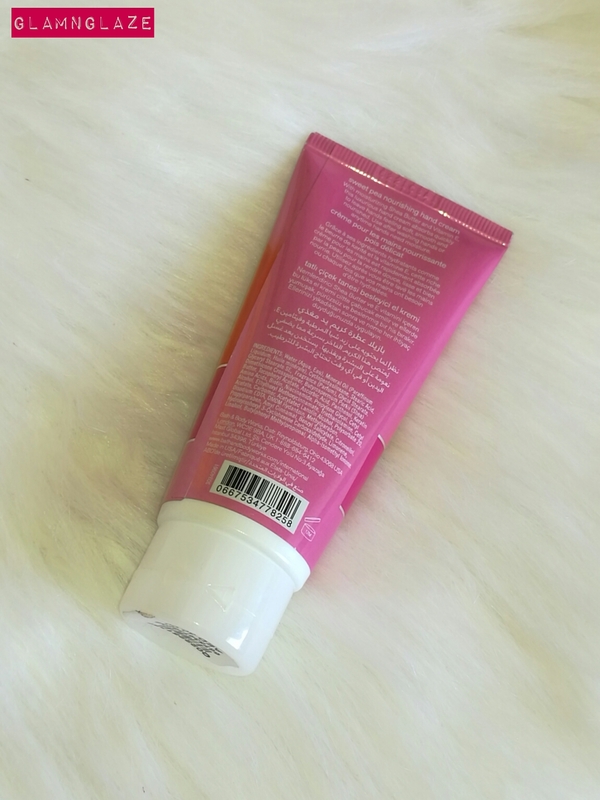 If you are someone who is looking for a moisturizing hand cream and loves sweet, flowery-scent(raspberry-rosy) in their body care products...then you gotta try this one for sure! For best results,apply on slightly moist hands.The fragrance will linger forever and hands will feel soft and smooth throughout the day.